Hudson Valley Regions with superior architectural sheet metal fabrication, as well as providing our services to multiple out of state projects. We work in conjunction with architects, roofing contractors, builders, and municipalities. 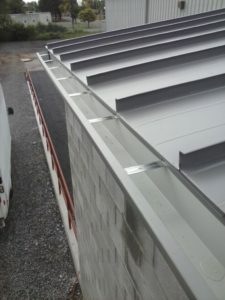 We provide the finest products in addition to many new material and mechanical additions that have been added since our inception allowing us to better serve our customers including: standing seam roll forming, soffit and wall roll forming, curving and radiuses, a 40 foot architectural brake (the only one in Upstate New York) and much more. We can tackle many different projects on a wide range of budgets. Our architectural metal products are durable as well as stylish; please see the PDF below for more information about the beautiful colors offered by our material broker Englert Inc.